It is time to cap off the European Tour season, as the players head to Dubai for the final event, the DP World Tour Championship. With just the one event remaining there are only three players that can end the season as the winner of the Race to Dubai. Current leader, Tommy Fleetwood will look to hold off both Justin Rose and Sergio Garcia who have won three of the last four events between them. After an up and down season, Rose has finally shown the same form that saw him finish second to Ryder Cup teammate, Garcia at Augusta. Rose put his struggles throughout the season behind him in his last two starts, winning back-to-back , firstly in China and then again in Turkey a week later. Garcia also won on his last start, as he played host at Valderramma for the second year in a row, this time winning the Andalucia Masters, an event he won on its last renewal six years prior. With the way these two are playing, Fleetwood is going to have his work cut out in order to complete a superb career-year which has seen his life on and off the course change. Fleetwood has won both the Abu Dhabi HSBC Golf Championship and the Open de France this season, and also finished 4th at the U.S. Open in what was just his second start in the event (27th on debut). Fleetwood also became a father for the first time, earlier this year, so has extra incentive to perform well this week. Rose has comfortably the best course form of the three here, with two runner-up finishes and a 10th place finish in his five starts here. Garcia also has two top-10’s in six starts, whilst Fleetwood finished inside the top-10 for the first time in four starts last season. Before Matthew Fitzpatrick’s win last year, only Robert Karlsson (52nd) had ranked outside the top-8 for Driving Distance on the week and won this event. Fitzpatrick ranked 16th when he won by a shot from Tyrrell Hatton who ranked 26th in that category. In fact, eight of the twelve players that finished T9 or better last year ranked outside the top-10 in Driving Distance, so whilst being long will still be advantageous here, that may not be the key this year. Greens in Regulation was always a key statistic as well in this event but that again was quashed last season as the first three home (Fitzpatrick, Hatton and Charl Schwartzel) ranked 21st, 45th and 39th in GIR for the week. Like any event where the winning score is around the -20 mark, you do still need to hit your fair share of greens though and when you do, you need to convert with the putter in order to make plenty of birdies. The first three on the leaderboard last year ranked 5th or better in both of Putts per GIR and Putts per Round, with Fitzpatrick ranking 2nd and 3rd respectively. Fitzpatrick just played solid across the board ranking 21st or better in each category, peaking at 2nd in Driving Accuracy and Putts per GIR, and similar play will be required from this week’s winner. Course form counts for plenty at this event and aside from the first two winners (Lee Westwood and Karlsson) both of whom were making their course debut, each winner has had a top-10 at the course before their victory in this event. Alvaro Quiros finished 3rd in 2010 before winning the event in 2011, Rory McIlroy had finished 3rd, 5th and 11th in his first three course starts, before winning in 2012 and the trend continued from there. Henrik Stenson won in 2013, after finishing 7th 12 months prior and made it back-to-back victories in 2014, and McIlroy then grabbed his second victory in the event in 2015, ensuring the pair had won the last four renewals between them. Lastly, Fitzpatrick got the win last season after finishing 4th on his debut a year prior and there is every reason to believe such a long-running trend will continue this week. Justin Rose (7/1) – There is no surprise that Rose, who has won on his last two starts is the clear favourite this week and he will be looking to end the season with three wins on the bounce. Form figures of 50-2-10-2-22 at this course suggest he will have every chance of doing so, after taking last week off to recuperate after his back-to-back victories. Sergio Garcia (12/1) – Again, no real surprises here, the Augusta 1-2 currently sit 2-1 in the betting for this week and rightly so. Garcia has form figures of 7-21-11-9-12-19 here, so whilst 7th is his best finish here, he has been more consistent than Rose. Coming into the week off a three-week break since his victory at Valderrama, Garcia will be looking his fourth victory of the season and end a career-year with another vital win. Nothing will live up to this season for Garcia, unless he wins multiple majors in one season, as breaking his major duck at Augusta was very special indeed and would take some serious beating. Jon Rahm (14/1) – Garcia’s compatriot and protégé, Jon Rahm will be making his debut at the Earth Course this week. Since finishing 10th (Open de France) and 1st (Irish Open) on his first two European Tour starts, Rahm has somewhat struggled when playing on his secondary tour. Rahm finished T15 at the Italian Open, before missing the cut at Valdderrama and finishing middle of the pack (T36) at the WGC HSBC Champions. Such is his talent level though, Rahm is difficult to rule out each week he starts and he will be looking to end 2017 on a high. Branden Grace (14/1) – Branden Grace won in his homeland last week, at the Nebank Challenge and will be looking to keep it rolling on a course he has enjoyed in the past. Form figures of 6-52-9-3-27 suggest Grace has played well enough here and will be capable of contending should he carry over the form from last week. Three top-9’s in five starts on any course is impressive and another top finish will be expected this week. Matthew Fitzpatrick (16/1) – With 4th and 1st place finishes to his name, in his two starts at this course it is fair to say Fitzpatrick has enjoyed this layout so far. With plenty of current form to boot too, the Englishman will be expecting another big week in Dubai. Since becoming the youngest Englishman to win four European Tour titles at the Omega European Masters, Fitpatrick has played six times and not finished outside the top-15 in that span. He has finished 9th, 11th and 8th in his last three starts and with that 8th last week his best finish since his win, he is taking plenty of momentum into this week. Tyrrell Hatton (16/1) – Similar to Fitzpatrick, Hatton is taking course and current form into this week and will look to find the win that eluded him last year. In three starts here, Hatton has finished 6th, 12th and 2nd and has two wins and two top-8’s in his last seven starts. Since going back-to-back at the Alfred Dunhill Links Championship and the Italian open, Hatton has finished T11, T16 and T19 so although his form is trending in the wrong direction, he is still playing steady enough. With so many players at the top of the betting in a similar position to Hatton it is hard to know who is going to come out on top this week, but he will likely be in the mix once again. With all this in mind, here are my selections for the 2017 DP World Tour Championship. For all the reasons detailed above, Fitzpatrick to me is the standout player this week. With course form figures of 4-1 and current form figures of 1-11-15-15-9-11-8 in his last seven starts, there is no surprise his odds are on the short side. He may only be 16/1 which will put plenty off, but given his current form, his recent win and his clear ability to come up trumps in big events, there is every reason to expect a fifth European Tour win, and his second multiple-win season in a row. Fitzpatrick is already a proven winner at a young age and to keep up such a high level of play, in during the immediate aftermath of a win is a sure sign of a golfer who will win plenty for years to come. Thorbjorn Olesen has played some great golf this year, and whilst he has not added a fifth European Tour win to his collection this season, he looks to have taken a step forward in his game. It may seem odd to say a year where a player has failed to win may well be the best of his career, but the consistency he has added to his game this season is quite remarkable. Consistency has always been the Dane’s Achilles heel, and has prevented him from taking the step forward his talent level may well allow but he looks to have put that right this in 2017. Four European Tour wins and top-9 finishes at both the Masters and the Open Championship goes a long way to showing how good he can be, and I believe he can be even better. At just 27 years of age, Olesen has time on his side and whilst he does still need to go some to fulfill his potential, I think there is every chance he does just that. A win here and the same level of consistency he has shown this season, throughout 2018 could well see Olesen make his compatriot, Thomas Bjorn’s Ryder Cup side. It would take another win and some more big performances to quiet any calls of favouritism, so should he make the side, Olesen will be hoping he does so on merit. With the possibility of another 20 years of top level golf on his side, there is every chance he surpasses Bjorn’s 15 European Tour wins, thus taking the mantle of Denmark’s greatest golfing exponent. Whilst he has not quite cracked the top-10 here, Olesen did finish T12 in 2014 and has not finished worse than 21st in five starts at the Earth Course. Again, he hasn’t won in Dubai at all but he has been an admirable performer both in Dubai and in the Middle-East in general over the years. Earlier this year, Olesen finished 2nd at the Abu Dhabi Golf Championship and was just one putt shy of forcing a play-off, whilst he’s also finished 2nd and 3rd at the Qatar Masters. Finishes of 3rd, 5th and 8th in the Dubai Desert Classic also support his case this week and it certainly looks a case of when not if, he puts in a big performance at this event. At 40/1 you are getting a excellent talent who is in excellent form, in a part of the world he clearly thrives in. Lee Westwood has been a consistent winner on the European Tour in the past, sitting T8th with Jose Maria Olazabal all-time on Tour, with 23 wins. The trouble for Westwood is the last of those 23 wins came back in 2014, making it three years since he last won on Tour. He has won twice on the Asian Tour since, winning the Thailand Golf Championship in December 2014 and the Indonesian Masters in April 2015, but even then it has still been two years since his last win. So why will this suddenly all change this week? Well for starters, the Englishman has been in good form of late. In the last two weeks he has finished 20th and 6th and in his last six starts before that, he had two top-9 finishes and a 15th as well. Through 36 holes last week, Westwood was within two of leader, Victor Dubuisson and whilst he tailed off over the weekend, he still put in a decent performance overall. With this behind him, he should be able to take some momentum to an event he has enjoyed in the past. In eight starts at this course, Westwood has won on debut in 2009, finished 3rd a year later and then 5th again in 2012. After a dip of form in this event, a 13th place finish last year restored hope that Westwood can still golf his ball around the Earth Course. Westwood settled his divorce this week, which could have got a lot more difficult than it needed to be, so maybe with that off of his mind, he can put in the kind of performance needed this week to win. We often see a happy life off the course can help dramatically when it comes to state of a player’s game and there’s a possibility of that this week. Soren Kjeldsen posted a career-best 4th place finish at this event in 2016, a year after finishing 10th so it is clear that when on form, this is a good spot for the Dane. In his three starts preceding this event last year, Kjeldesen had posted finishes of 40th, 31st and a 16th and the year prior he had finished 46th, 11th and 9th during the same span, so was improving as the weeks went on in both seasons. He is in fairly similar form this year, however slightly more consistent with finishes of 18th, 23rd and 12th. The 12th place finish last week should give him the confidence to go well here once again and really could have been much better. He shot a round of 78 during tough weather conditions last Friday to drop down the leaderboard, but bounced back with rounds of 69-68 over the weekend. 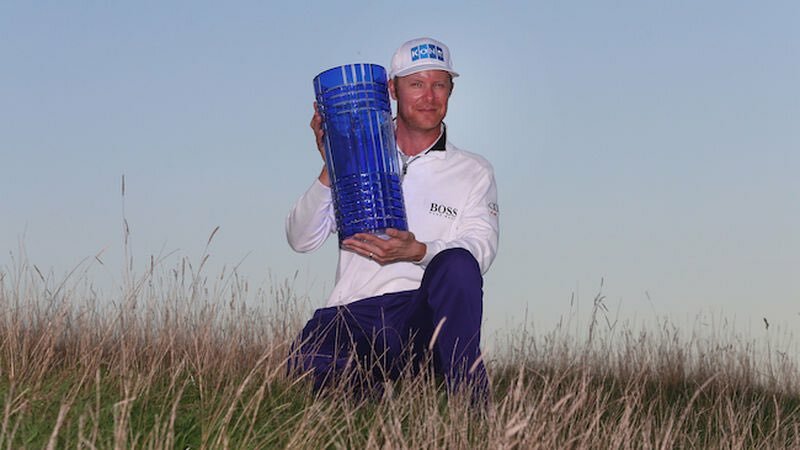 Both 2015 and 2016 were successful seasons for Kjeldsen, as he showed flashes of brilliance on some big stages and was rewarded with his 4th European Tour victory at the Irish Open in 2015. Whilst this year has been a bit of a struggle he has shown signs of improvement in recent weeks and will look to capitalise on that here. This is the last chance for him to turn this average season into a big one and give compatriot Thomas Bjorn something to think about ahead of next year’s Ryder Cup. At 60/1 this week he is a fair price, considering his course form in recent years and his uptick in current form over the last few starts.